Last month Sony unveiled its latest high end smartphone for this year as it looks to build on the success it had in 2013 on the Android platform, and we now have a Sony Xperia Z2 vs. Xperia Z1 speaker battle video for your viewing pleasure. 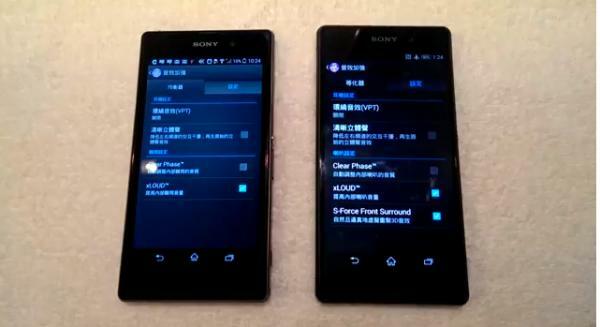 Since the Sony Xperia Z2 was officially announced at the Mobile World Congress event we have found out the carrier pricing and a UK release date for the device. We have also looked at the upgrade decision for those that own the Sony Xperia Z1. Today we have a video that is comparing the stereo speakers of the two handsets playing back a Katy Perry track, and while both handsets offer a similar loudness the front facing stereo speakers on the Sony Xperia Z2 are much better than the audio playback from last year’s handset. Obviously this test is not exactly scientific it does demonstrate the improvements that Sony has made in terms of audio playback on the Xperia Z2. Watch the full video and tell us what you think. Source: ePrice via Xperia Blog.